Clothespin Jungle | Pi'ikea St. 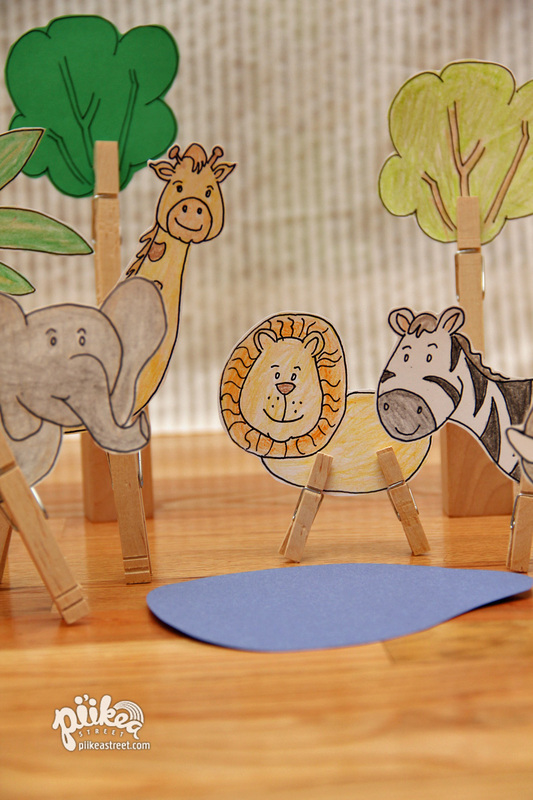 Step into a jungle of animals with this fun and easy project. 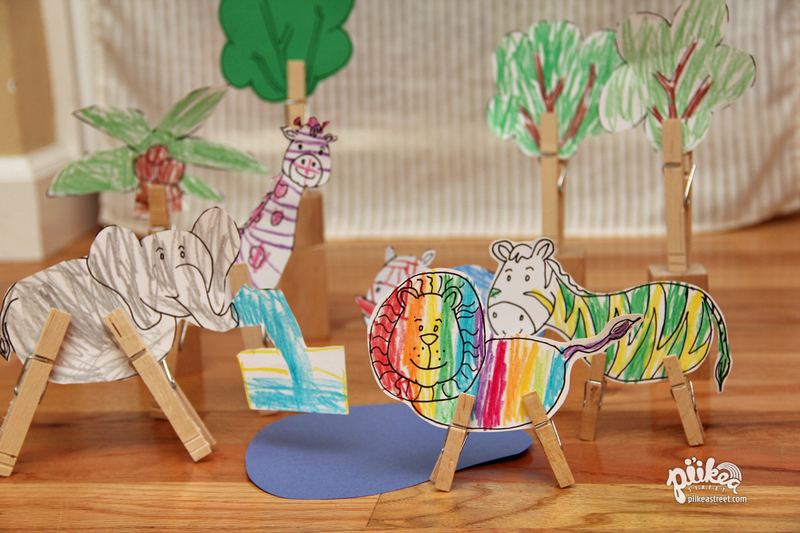 For this craft, you can draw your own animals or feel free to use the files available below. It’s best to print them on card stock. To give our trees some height, we stood the clothespins on some wooden toy blocks. p.s. We’re sharing this week’s crafts over at Cheerios & Lattes‘ Show & Tell! Hop over there to check out some awesome projects!